Fernando Jorge Fluid Diamonds bracelet, at barneys.com. 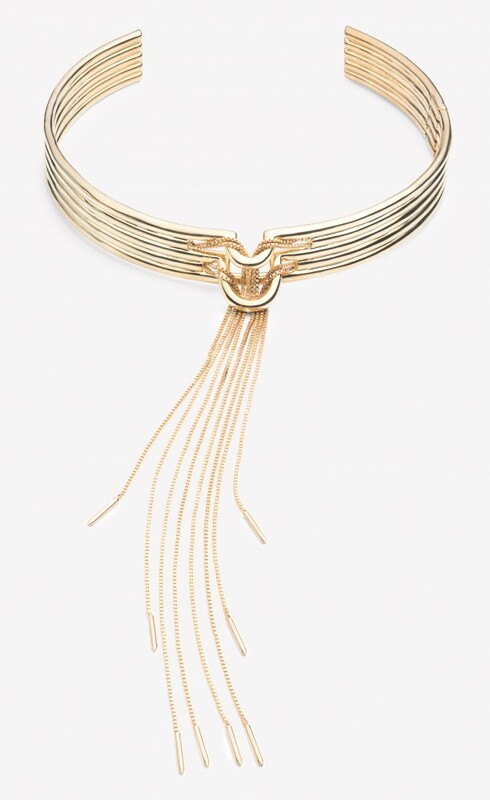 Eddie Borgo Neo tassel collar, at eddieborgo.com. Aquazzura Amazon lace-up suede sandals, at net-a-porter.com. Sophia Webster Mitsy velvet-trimmed polka-dot tulle and leather boots, at net-a-porter.com. Givenchy cone-heel Cuissard boots, at barneys.com. 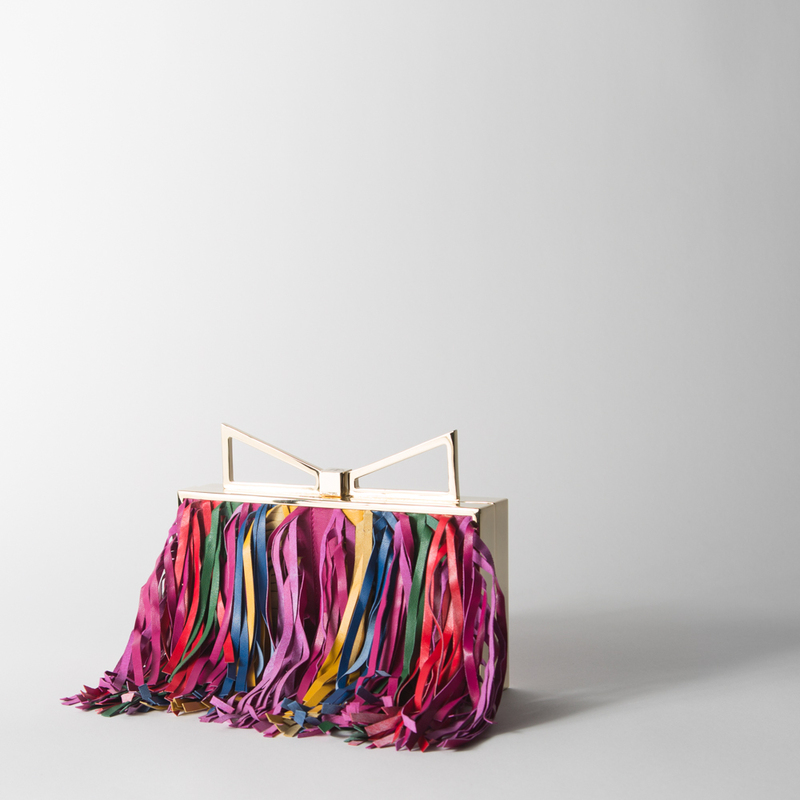 Sara Battaglia Ladyme Sbang clutch, at secretlocation.ca. 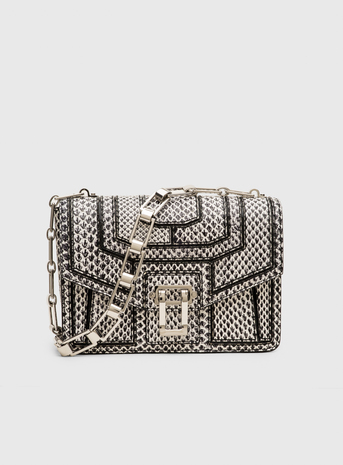 Proenza Schouler Hava chain handbag, at proenzaschouler.com. 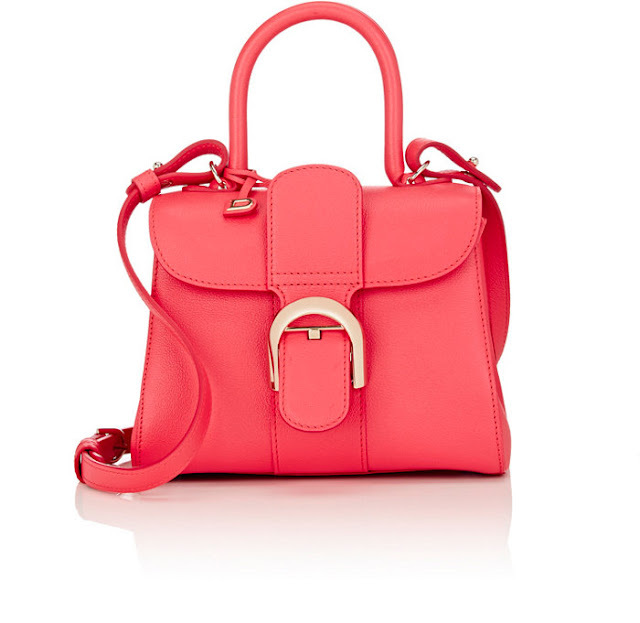 Delvaux Brilliant Sellier mini bag, at barneys.com. 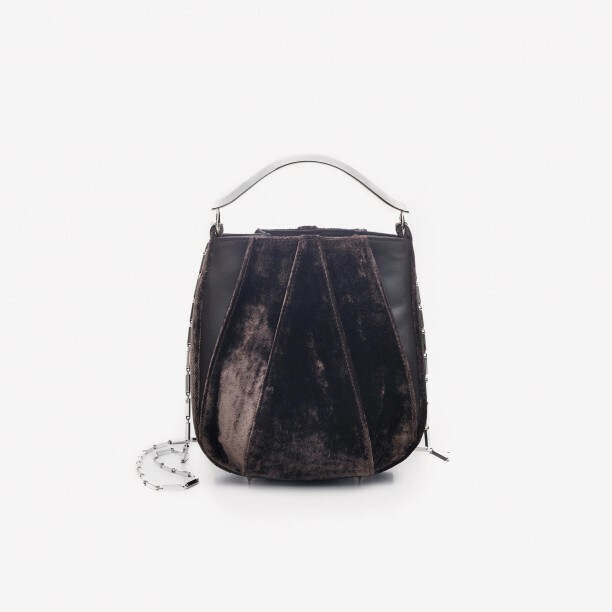 Eddie Borgo velvet Pepper Mini Pochette bag, at eddieborgo.com. 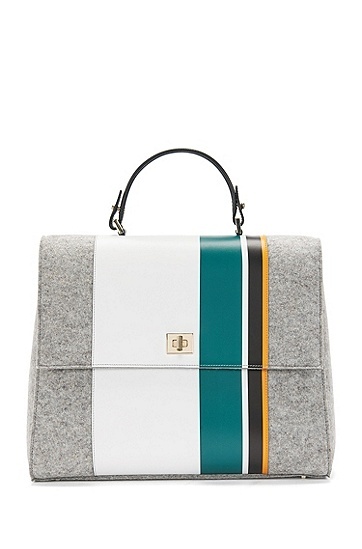 Boss Bespoke leather and wool handbag, at hugoboss.com. 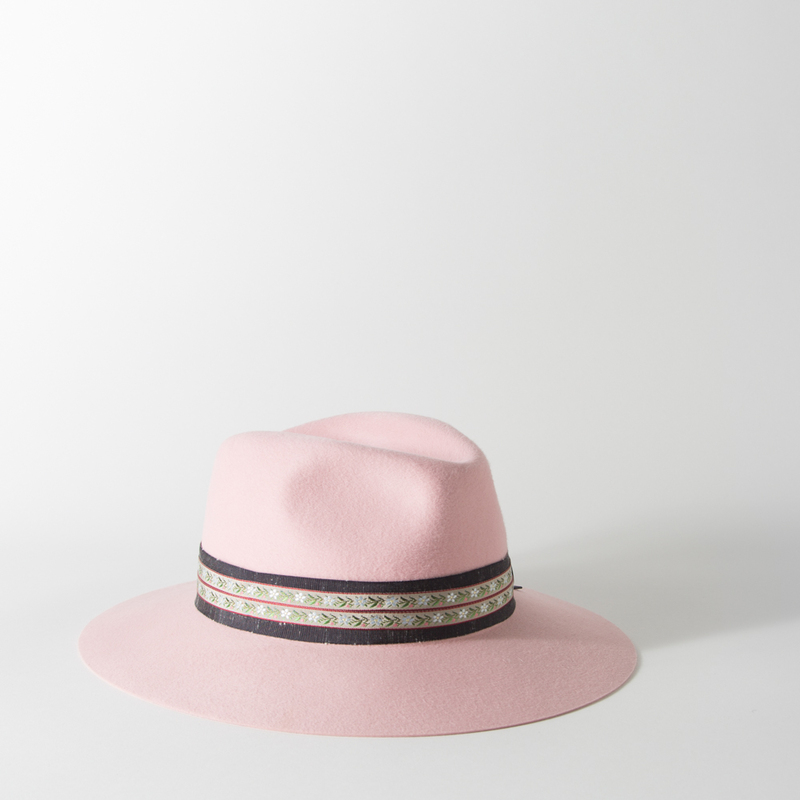 Maison Michel English Pink Henrietta fedora, at secretlocation.ca. 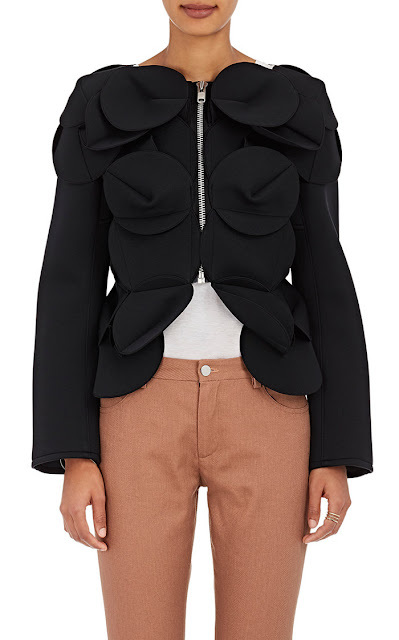 Junya Watanabe Comme des Garcons architectural crop jacket, at barneys.com. 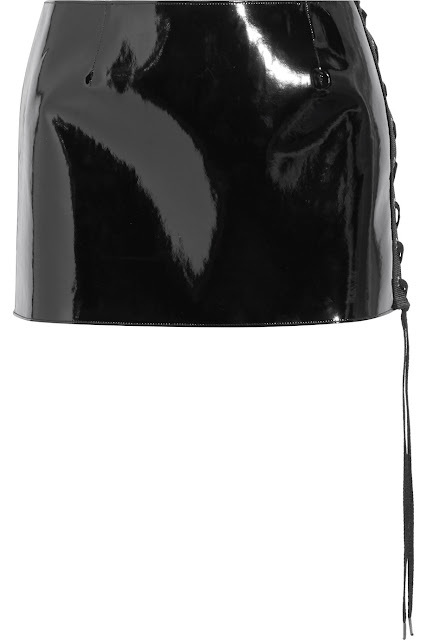 Anthony Vaccarello lace-up vinyl mini skirt, at net-a-porter.com. Proenza Schouler A-line lace-up skirt, at proenzaschouler.com. Saint Laurent leather skinny pants, at net-a-porter.com. 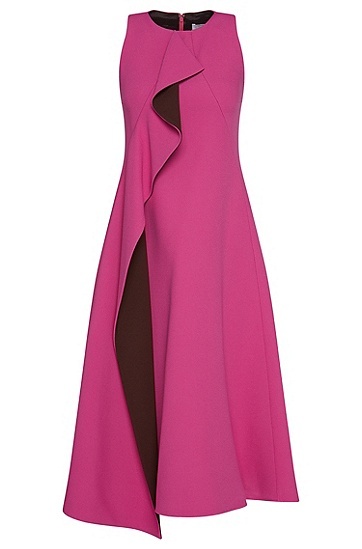 Zimmermann Winsome Sunday dress, at barneys.com. Boss Dianea A-Line flounced dress, at hugoboss.com. 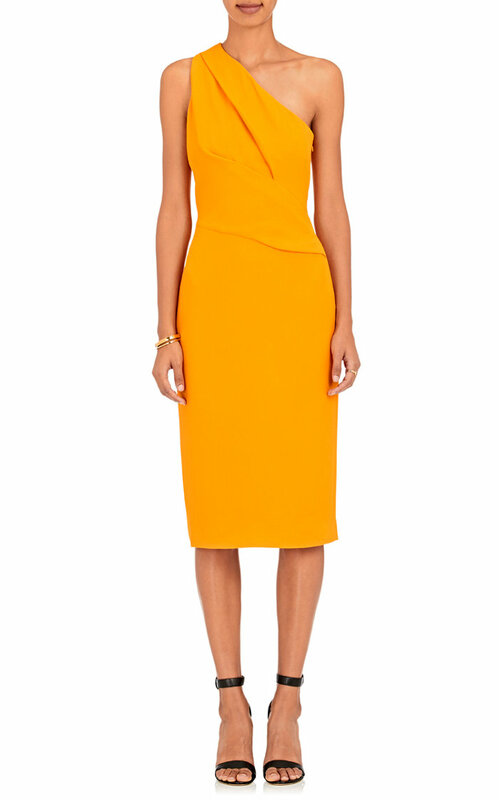 Narciso Rodriguez one-shoulder crepe dress, at barneys.com. 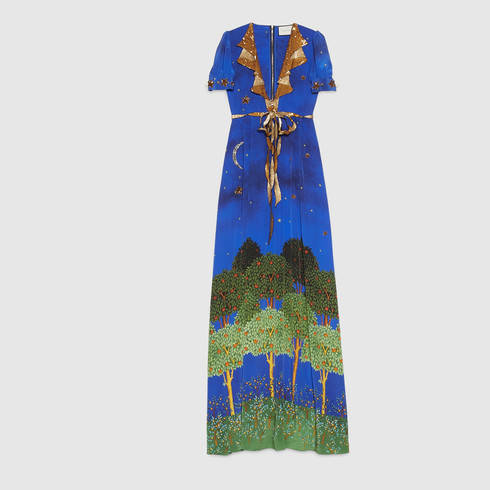 Gucci Night Garden print silk gown, at gucci.com. Darlings, what are you loving lately? Do any of these pretty pieces catch your eye?